Chris Coyier from CSS-Tricks built this really cool jQuery plugin that creates a content slider that will support any regular HTML in the slides. This is cool because many sliders I have used had limitations on what could be on the slides and did not offer many of the featuers the AnythingSlider does. To get this working in SharePoint you will need to make sure you have a reference to jQuery in the page somewhere as well as a list for the slider to read from. For my example I am using an out of the box annoucements list. You will also need the files for the plugin download the anythingSlider plugin from css-tricks.com. In SharePoint Designer add a dataview webpart to the page with any field from your annoucements list. 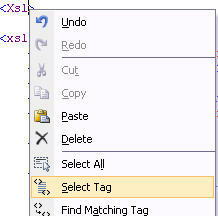 Switch to code view and find the first <xsl> tag. It should be right after the closing <DatasSources> tag. Right click on the tag and choose “Select Tag”. Press delete, don’t worry we will be adding in our own xsl. Paste the following xsl into the page where you deleted the code. Important: Adjust the links on the code so that point to your local copies of the css easing and plugin files. I made a few small changes in the css file to make things work better with SharePoint. 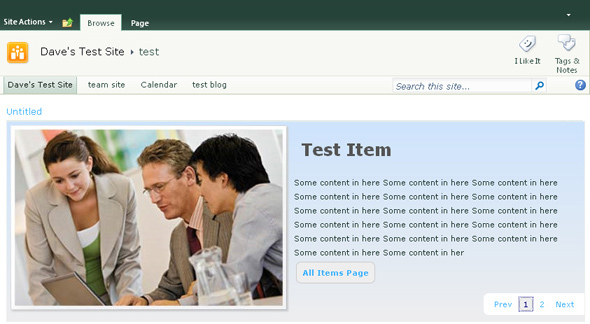 In page.css file I deleted several of the classes so they would not interfere with SharePoint’s styles. 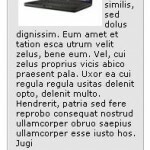 In the xsl I used a div with a class of .textslide to wrap the content so I had to change that in page.css as well. To keep long annoucements from breaking the design I set the overflow on the .textslide div to hidden. Below is the code I used in page.css. I did not make any changes to slider.css. It may be easier to just combine the tow files to keep things simple and reduce page load times. The AnythingSlider plugin is lightweight, powerful and easy to customize. Adding this type of functionality that is common on regular websites to a SharePoint site can help guide users to important information and of course make your site ‘cooler’ than the average SharePoint site. The code above just shows all the items in the list but once you have it working it is easy to add your own sort/filter parameters to the data view so only certain items are shown. 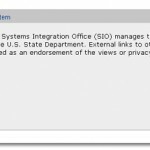 The slider could also be implemented to run off of the SharePoint list web service the same way I did in this post. If you have any questions or comments feel free to post. How do you use Anythingslider to display several web parts such as Announcements, a document library, calendar, and user profile. @Neville If you want to pull content from multiple lists you would need to use a linked source in SharePoint Designer. Here is an article about how to do it. 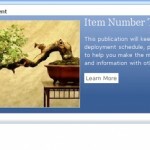 The XSLT will also have to be modified to account for the different content types that need to be displayed.